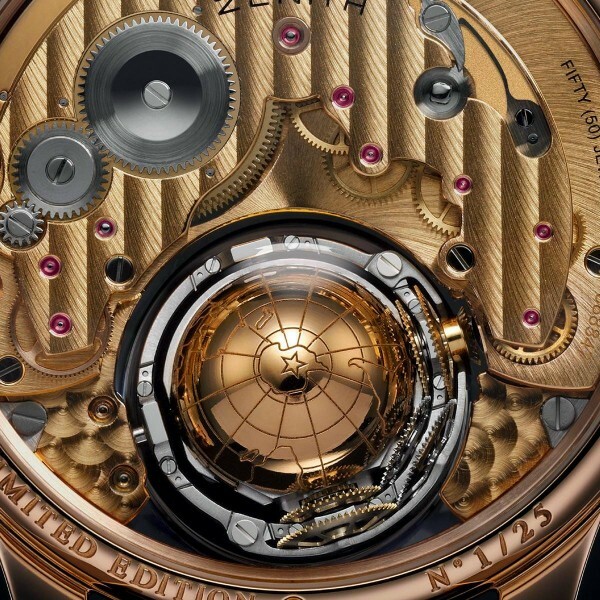 2013 has started and we have seen some fantastic watches but the one that excites us the most right now is the new version of the Zenith Cristophe Colomb, the Zenith Academy Christoph Colomb Hurricane. 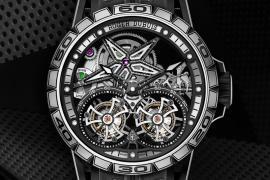 The watch features an escapement that has been designed in a sapphire crystal cage that stays up right by being weighted down and mounted on a gyroscopic style gimble. 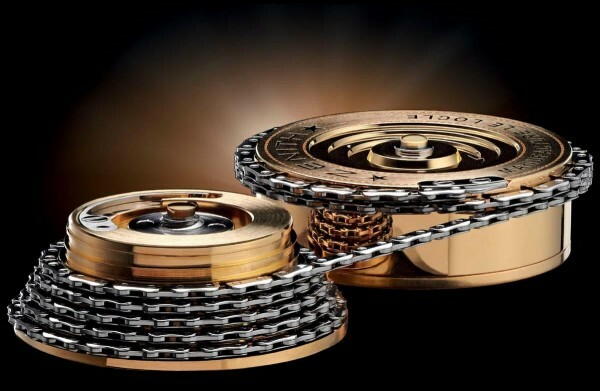 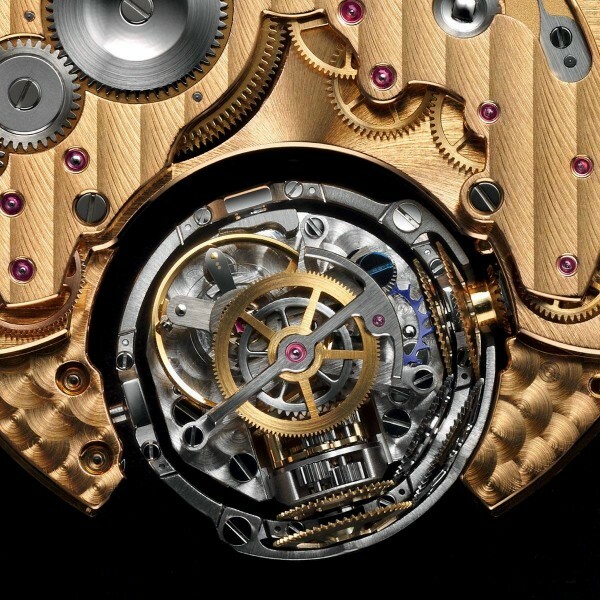 The miniature movement requires a number of different parts as well as incredibly delicate watchmaking. 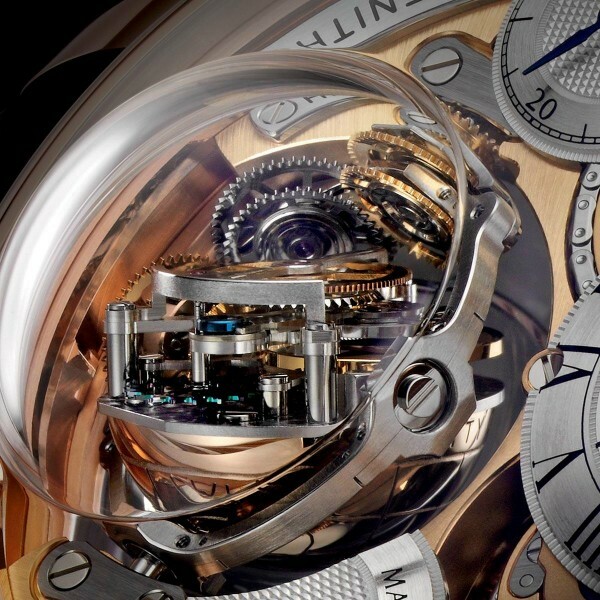 The sapphire bubble that encases the gravity module escapement featured on both the top and bottom of the dial is not at all inconvenient or uncomfortable, in fact the only precaution is to ensure you don’t knock it against anything. 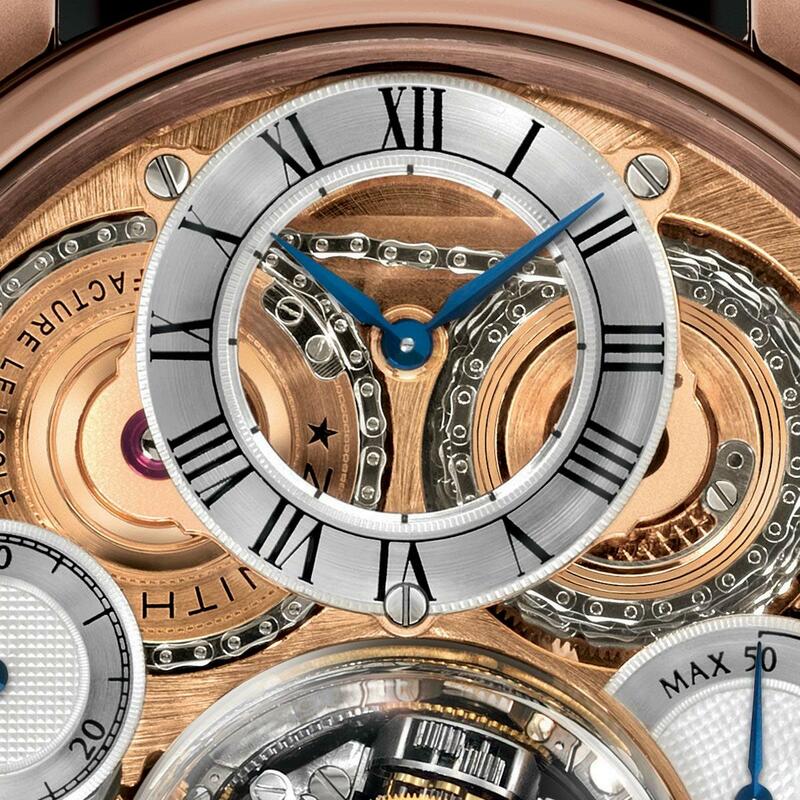 In addition to the enchanting escapement the hurricane also has a fusee and chain compilation. 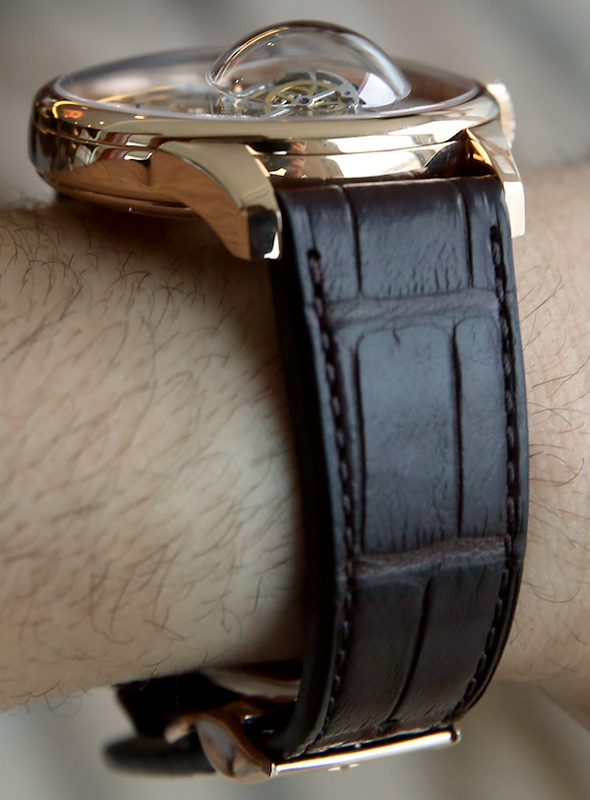 The 45mm wide 18k rose gold case is weighty while still remaining perfectly sized. 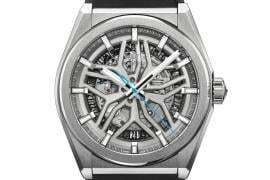 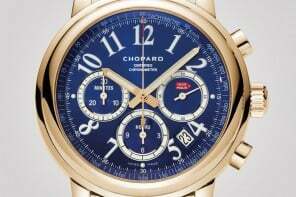 The movement is an El Primero Caliber 8805 manually wound one. 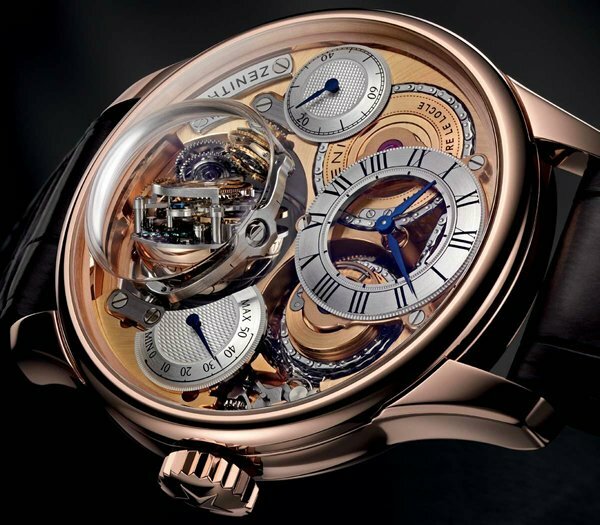 What truly boggles the mind is that the main movement, the gyroscopic carriage and the chain all contain 354, 173 and 585 parts each! 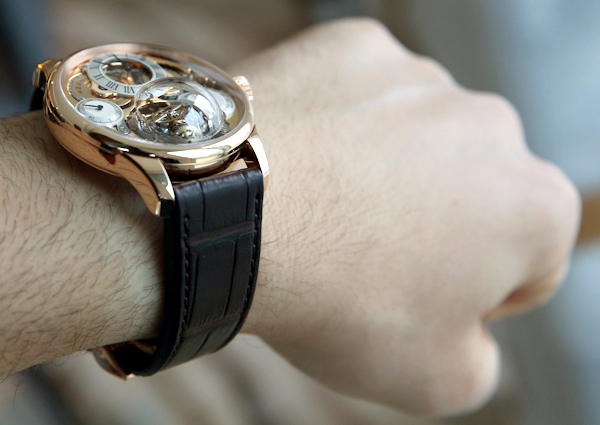 A time dial, subsidiary seconds dial and a power reserve indicator are the functions offered on this skeletonized watch. 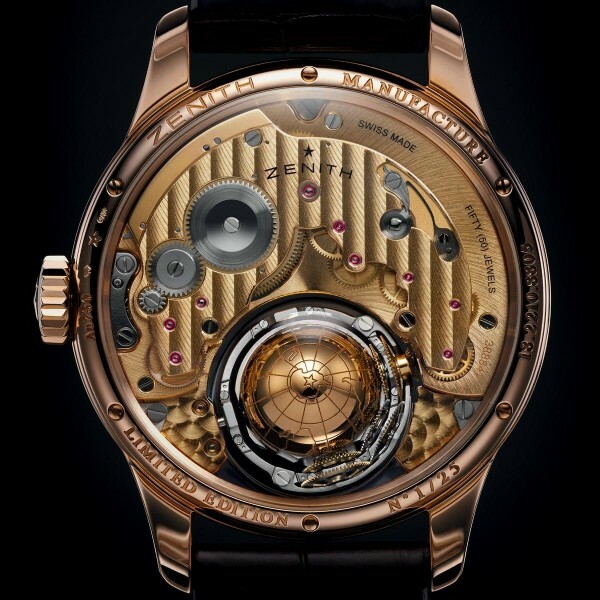 Zenith will only produce 25 pieces of the Academy Christophe Colomb Hurricane, with each costing $280,000.